Corporate planners know from years of experience that employee travel incentives pay for themselves. Whirlwind vacations in spectacular locations pay off in terms of increased performance, loyalty, and willingness to go that extra mile. And there are numerous benefits to having top employees relaxing and playing at a luxury resort through incentive travel. Countless successful ideas have been spawned on the golf course, at the spa, or while hiking under the stars. And Colorado offers something to love for employers and employees alike. Its distinctly individual, stunningly beautiful destinations provide once-in-a-lifetime memories for visitors. With its convenient location in the middle of the country and off-season bargains, Colorado also offers proven value to employers. Start in Denver, a city that’s easy to and easy to get around in with its pubic trolley system and pedestrian walkways. The Mile High City has a meticulously planned downtown which offers urban sophistication, good meeting spaces, and lots of high-end hotels, restaurants, and bars. And what better way to start a vacation then lunch at the Denver Art Museum or cocktails at the Opera House? Sixty-five miles south of Denver, Colorado Springs offers rustic charm and the exclusive intimacy of its famous ski resorts. This laidback destination attracts those interested in wide open vistas and a full range of outdoor activities. Colorado Springs is home to 3 championship golf courses, 30 mountain bike trails, and a dozen whitewater rafting outfitters. Beaver Creek, 110 miles west of Denver, is celebrated for its exclusive ski resort, located in the White River National Forest. While it is among Colorado’s most admired ski resorts, the appeal of Beaver Creek—like its sister resorts Vail, Aspen and Snowmass—is year-round. And there are (relative) bargains to be found in the summer. The après ski scene in Beaver Creek is especially appealing with some of the finest dining west of the Great Divide. These options only scratch the surface when it comes to corporate incentive travel. 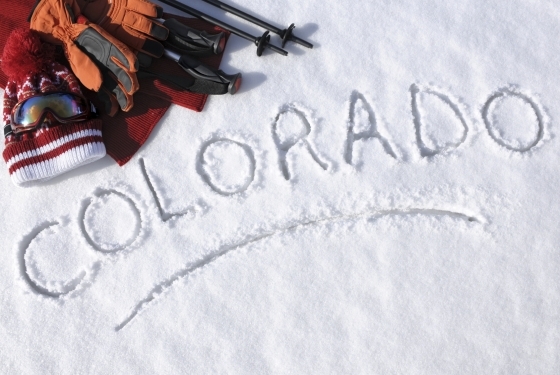 Look to Colorado for luxury resorts, unforgettable ski vacations, and memorable wining and dining high in the Rockies.